In this episode of Tequila Aficionado’s Sipping off the Cuff, Mike Morales and Alex Perez taste and discuss Goza Tequila Blanco. 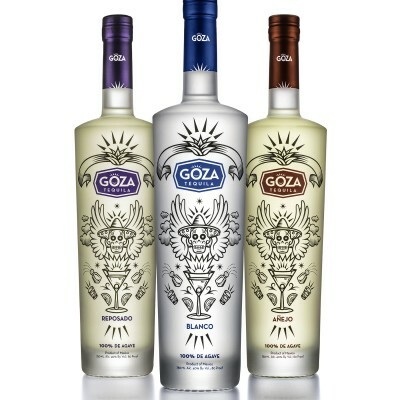 Goza, which means “enjoy” in Spanish, launched mid-April with three premium varieties: Blanco, Reposado, and Añejo. The local brand aims to compete with the likes of Don Julio, Patron, and Casamigo, with tequila that’s clean, flavorful, and just slightly warming. It took a couple of years to get Goza to market. Through a mutual friend, Gluck learned of a tequila producer who was looking for a U.S. partner. Of the 110 tequila producers in Mexico, Gluck said, one in every ten bottles is going to have the same liquid (that’s over 1,000 brands). “Our supplier doesn’t sell to anyone else in the U.S.,” he says. Gluck wants his premium tequila to be a more affordable option, with a market focus on young professionals. He calls it “tech-quila” when discussing his link to the startup world—Goza shares office space at DeskHub in Buckhead, and he hopes to sponsor a hack-a-thon. The tequila market is pretty vast. What does Goza bring that’s new? Goza takes the intimidation out of tequila. Most bottles out there, they’re square, masculine—there’s an intimidation factor. Plus, we all have a bad tequila story—you know, that “I can’t even stand the smell” thing. It’s important that the tequila taste good, but we start with what people see. People say it looks like a vodka bottle, and that’s fine with me. Can you talk about how your distilling process impacts the flavor? Our tequila is made from agave grown and distilled in Arandas, Mexico, which is one of the country’s two major tequila-producing regions. It’s in the state of Jalisco and Goza agave is in the highlands. Tequila from that area has more of a fruity and herbal taste and smell. It’s also 100% agave tequila—some tequilas, like Jose Cuervo, are made from 51% agave. That’s a big reason why it tastes so bad. Does Goza manage the whole process? We control the entire process, the land our agave is grown on the distilling, aging, bottling—it’s a total vertical integration. The agave is grown for nine years before harvest. They run certain tests to ensure that it’s harvested at the right time. Every bottle is pressure-washed on the inside with tequila itself. Everything’s done by hand. Describe the varieties you offer. You’re currently in Georgia and Tennessee, any expansion plans? We’re trying to grow organically, grassroots style. Next market will probably be South Carolina or Florida, just because of geography, maybe within a year. But we are primarily in Georgia, and of our Georgia sales, 80% is in greater Atlanta.